The local Cleveland paper published a good article today that highlights the work between Cleveland Clinic and Microsoft HealthVault. Back in November, these two announced a joint agreement to work together to test the efficacy of using consumers’ self-reported, biometric readings for improving care delivery. In this case, Cleveland Clinic customers who are managing a chronic condition, e.g., hypertension, take periodic measurements that are fed, by way of the HealthVault repository to Cleveland Clinic’s EPIC EMR. Once in EPIC, the physician can track and trend readings and make adjustments to treatment plan as warranted. The article gives a real world example of a truck driver, who is one of 30 early users of the service, to manage his blood pressure. Couple of key points can be pulled from the article. 1) The consumer appreciates the flexibility to take the needed measurements when it is convenient to them and their schedule. Might such flexibility and convenience lead to better compliance and better outcomes? Maybe AHRQ needs to do a study on that as part of their Comparative Effectiveness largess. 2) The physician likes the ability to more proactively manage a patient’s chronic condition with use of near real-time data (at least real-time compared to standard practice). Might this lead to better care at a lower cost through better dosing of medications and other modifications to treatment plan? Does the use of such systems impact payment/reimbursement schedules? Is payment reform required to insure that a physician/hospital is reimbursed for such services that typically fall outside the domain of most payment schedules? This remains one of the biggest stumbling blocks for any telehealth program. How does this type of system fit into the workflow of what is already a hectic schedule for most practicing physicians? Is it primarily the responsibility of the nursing staff to do the day to day monitoring and reporting and bring the physician in when readings exceed certain pre-defined limits, or is it left to the physician to oversee all aspects? Many physicians I talk to tell me time and time again, not enough attention is paid to process and workflow. Incorporating such a system into a practice can significantly alter the care delivery model, thus special attention needed here. In addition to chronic care cases, what about episodic care? Such a telehealth system may dramatically drop re-admissions after a given procedure if a patient is monitored post-discharge. Yes, we all know how important it is to address chronic care and compliance as these are huge cost drivers to healthcare today, but re-admissions is also a significant cost and should not be overlooked. Arguably, the best part of the article is the consumer’s apparent feeling of empowerment. They are no longer a bystander in their care but an active participant. They are no longer waiting for a doctor’s availability or complying to a clinic’s schedule but are self-reporting based on their availability and need. Lastly, knowing that the care provider is actively monitoring one’s progress may result in a subtle form of pressure that helps keep the consumer in compliance. This is the future care model. What boggles are minds is why it has taken so long for us to get here. In an interesting twist, Cleveland Clinic and Microsoft’s HealthVault Grp announced a partnership this morning to address chronic disease management. The interesting twist is that Cleveland Clinic was the showcase beta customer for Google Health, which was announced by Google’s CEO Eric Schmidt earlier this year at HIMSS. Like their counterpart in Boston, Beth Israel Deaconess Medical Center, who was part of the initial Google Health public roll-out in May and who has since also established a link to HealthVault for their PatientSite users, Cleveland Clinic is taking an agnostic approach to the major platform plays with this agreement. The Cleveland Clinic-HealthVault announcement is distinctive in that it focuses on chronic disease management, via telehealth, through use of HealthVault’s unique Connection Center. With some 50 devices from 9 vendors, the Connection Center allows the consumer to upload device data (e.g., glucose readings, heart rate, blood pressure, weight, peak flow, etc.) directly to their HealthVault account. In the Cleveland Clinic project, which began last week (Nov. 3rd), uploaded biometric data from HealthVault compliant devices will automatically be pushed to Cleveland Clinic’s EMR and subsequently exposed to the physician for patient tracking and follow-up. A target of 460 Cleveland Clinic patients will participate representing three distinct disease categories; hypertension, diabetes and heart failure. The roll-out is across the Cleveland Clinic Integrated Delivery Network (IDN) and not just hospital patients. Clearly, they are focusing on the big chronic disease categories that result in huge costs that many believe better telehealth monitoring can mitigate. Hypertension patients, of which there are 400, will measure blood pressure only. Diabetes patients, of which there will be 30, will use five devices to measure glucose, blood pressure, peakflow, pedometer and weight. Heart Failure patients, the remaining 30, will use four devices to measure blood pressure, peakflow, pedometer and weight. Pilot will initially be for an extremely short 90 days. Cleveland Clinic expects to have all patients active within 4-6 weeks. Not sure what they can accomplish in 90 days, maybe Cleveland is just hedging their bets to see if patients actually comply with the prescribed measurement and upload regime. Assuming that all goes well, one can guarantee that this pilot will be extended for at least a year, if not longer, as that is the only way they will be able to provide some demonstrable results that are publishable (something that Microsoft emphasized) and ultimately may influence future legislation (e.g., CMS funding), health plan reimbursement (P4P), and broader adoption among other Integrated Delivery Networks (IDNs). Devices are being provided for free to trial participants. The only requirement, beyond the obvious willingness to diligently take their measurements, is that they have a Windows-based (XP SP2) computer and broadband access. 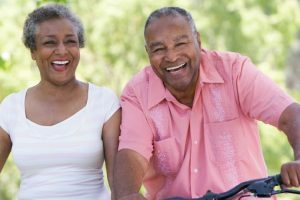 Unfortunately, many heart disease patients are among the elderly and it is questionable as to how many have this capability. Still, the point here is to demonstrate, not solve all the problems and it is a good start. Cleveland Clinic is training patients on the use of the devices(s), and data upload process to HealthVault, that is subsequently pushed to Cleveland Clinic’s EMR. Part of that training includes clearly notifying the patient when a particular reading should prompt a call to their doctor or even 911. Along with providing the device(s) and training, the physician will prescribe to the patient their measurement protocol (e.g., 2x/day, 3x/week, etc.) unique to that individual and the condition they are managing. Patients trust their doctors so receiving the package directly from their physician during an office visit makes a lot of sense and should encourage use and hopefully compliance. It will be interesting to see how compliant patients are to the prescribed compliance regiment as this is often a critical stumbling block. Will incentives be required? Cleveland Clinic put in the upfront effort to understand how best to incorporate this new data stream into a physician’s workflow to minimize the burden. Specifically, the physician will receive a weekly notice notifying them that their patient(s) biometric data is ready for review. One click later and the physician is in the EMR reviewing their patient’s data for that past week. Prior to this pilot, Cleveland has experimented with other telehealth systems, but none were able to provide this level of integration with the core EMR system (always a stand-alone, silo’d operation) and thus saw little adoption among physicians. This is absolutely critical! Having spoken to many physicians about the success, and most often failure of telehealth initiatives, it nearly always circles back to lack of true integration to existing practices/workflow. Looks like this pilot tackles that issue head-on. So what is the Business Case? Service Case: In moving to this model of combining telehealth with traditional in-office visits they intend to completely re-design the office visit resulting in a better, more engaged and customer friendly process. This process will lead to higher customer service ratings, customer recruitment and higher customer retention – all important top-line metrics. They also see a service case for the physician as such a “system” will allow the physician to deliver a higher level of proactive care with their patients. Its all about market differentiation, distinguishing themselves in an increasingly crowded market – one that will only get more competitive. Outcomes Case: One of the objectives of the pilot is to see if Cleveland Clinic can consistently improve the outcomes/health of its chronic care patients that will result in fewer hospital readmissions and/or complications. If all goes as planned, Cleveland Clinic believes that it will be able to use these positive results to request better reimbursement schedules (more income) from health plans. This certainly makes logical sense, but to date, health plans and CMS have been reluctant to support such programs – more of a wait and see approach. Hopefully, Cleveland Clinic will start showing some impressive results in a year or so and get those health plans on-board. A couple of weeks ago I poked Microsoft about their lack of support for the telehealth consortium, the Continua Alliance. Sean Nolan responded stating a primary reason was Microsoft’s desire to move quickly (consortia always seem to move at a snail’s pace). Looks like that has paid-off as Google Health and Dossia cannot, today, support such capabilities as demonstrated above, though they are on the path having joined the Continua Alliance and Google demonstrated modest capabilities at the recent Connected for Health Symposium. Looking ahead, we forecast 2009 to be a year of pilots which begin to demonstrate the utility of the platform model (Dossia, Google Health, & HealthVault) in support of telehealth and how telehealth technology and practices are best integrated into existing clinician workflow. Look to 2010 to see actual reimbursement models and P4P programs begin to take shape in support of promotion and adoption of telehealth. Today is the first day of the big HealthVault developers’ conference Microsoft is hosting. Purpose of the conference is to bring together the “legions” of developers that are looking to build Personal Health Applications (PHAs) on top of the HealthVault platform, what I refer to as a Personal Health System (PHS). As with any such event, we’ll be seeing a lot of press releases come out of Microsoft and to a lesser extent, various partners. The biggest one today is the announcement that Kaiser-Permanente will do a trial with HealthVault. Microsoft issued a similar press release. HealthVault, Google and to a lesser extent (or at least quieter) Dossia, are all looking to create an ecosystem around which other applications and services will be built. An ecosystem/platform model is a bit of a chicken and egg scenario. First, there is the strategy to get as many developers as possible building applications on a given platform/system. This creates a critical mass of features that will in-turn attract consumers to the ecosystem accelerating growth, presence and ultimately revenue. But before dedicating precious development resources, smaller software companies want to see if the ecosystem provider can deliver customers that may want to use their application(s), subscribing to their service and delivering revenue. If there are few consumers, what’s the point in spending those precious resources? To date, 3rd party PHAs have gone as much on faith as anything else assuming that Microsoft’s HealthVault group (and Google Health) would be successful in attracting consumers. After a pretty poor, at least from the consumer’s perspective, launch of HealthVault last October, it was much to that team’s credit that they were able to attract so many development partners. In a conversation I had with the HealthVault team a couple of months ago, they stated that they were in discussion with over 100 potential PHA partners and I’m sure that list has only grown. Today, they announced that there are now over 40 PHAs up and running on HealthVault. Then there is also Microsoft’s seed funding, Be Well Fund, which was oversubscribed to the point where they actually increased funding by 50% as there were so many good proposals. Microsoft is being very aggressive in developing that ecosystem. Now it just needs to bring in the consumers, and that’s where Kaiser comes in. Kaiser will, like Cleveland Clinic did with Google, begin with a trial (beta) enlisting Kaiser’s 156,000 employees to opt-in to use HealthVault. It will be interesting to see just how many opt-in as in the Cleveland Clinic-Google beta, only about 16% of those presented with the opportunity opted-in. The initial trial will run through the summer providing Kaiser an opportunity to test the platform’s ability to securely transfer records and populate a HealthVault account. Once the beta program is completed, provided its successful and there is no obvious reason why it won’t be, Kaiser will allow its 8.7 million members the opportunity to transfer their records from My Health Manager to HealthVault. 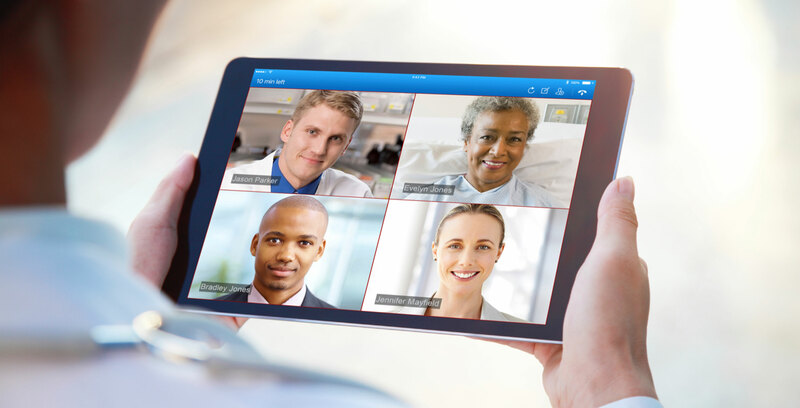 In the conference call today, which oddly enough only had two people asking questions, myself and another, I asked two questions, which were answered by Anna Lisa Silvestre, VP Online Services, Kaiser-Permanente. Note, these are not direct, verbatim responses, but basically the gist of what she communicated. Ques: Will you be testing the transfer of complete records? Ans: No, we will test the system by transferring an employee’s health summary that will include immunizations, allergies, medications and conditions. We will use the Continuity of Care Document (CCD) standard to facilitate transfer of these records. Ques: Will you consider other platforms in the future (this was my roundabout way of asking, is Google in the cards)? Ans: Yes, we will consider other platforms in the future as this is not exclusive. Such choices will depend on value that can be ultimately delivered to the end consumer/member. That being said, we will not partner with every PHR company in the market but will look at a number of factors including security and privacy policies foremost among them. Now if I’m a developer at the HealthVault event this week, I sure would be excited hearing this news as it offers the potential for 3 million plus consumers coming on-board by the end of the year. But is that not the Big Question – if we build it will they come? In the Cleveland Clinic-Google beta, it appears that the majority of consumers sat back and were not willing (or didn’t see enough value) to move their records to Google Health. Sure, it may have been security and privacy issues that held them back but my bet is that it was just indifference. It remains to be seen just how many of Kaiser’s employees and later, members will do likewise, which brings us back to the beginning: Which comes first, the chicken or the egg? Will these PHSs and their development partners provide enough value (features) to bring in the consumer? Will developers continue investing in creating enough interesting apps to attract the consumer and hopefully justify their investment? We are a long ways from finding out the answers to these questions but what is clear is that some very significant players, representing large pools of consumers, Cleveland Clinic, Beth Israel and now Kaiser, are willing to offer consumers the opportunity to take direct control of their records and try these platforms for themselves. That is a start in the right direction. Over on the ever so popular healthcare IT (HIT) rumor mongering website, HIStalk, there has been a running stream of comments since yesterday regarding PHRs that began with a comment by the owner of the site, Mr. HIStalk himself, more or less agreeing with comments by the CEO of EMR vendor Cerner. It appears that Cerner’s CEO, in a recent interview, dissed both Google Health and HealthVault calling them nothing more than “electronic shoeboxes”. In some respects he is correct. Today, it is far too difficult for consumers to have an independent, untethered PHR, or in the case of HealthVault, a data repository for their records as the consumer must frequently load up all the data via self-entry. Even getting claims data into an untethered PHR is difficult, but it appears that insurers are moving a little faster in that direction than most providers. But this is changing and the change will accelerate over time as more Integrated Delivery Networks (IDNs), and large hospitals networks (Beth Israel Deaconess, Cleveland Clinic, Medstar, and even maybe Kaiser) begin to provide their customers with an ability to load their medical records up to a 3rd party service thereby enabling portability and consumer control of their records. In a desire to set the record straight, at least from my vantage point which arguably is well-informed, I provided a fairly lengthy comment on HIStalk in response to comments that preceded it to clear the air. Admittedly, the tone is sharp but after awhile, I really do tire at the amount of dis-information and illogical assumptions that are bantered about. 1) Google & MS are businesses, they are public companies, they have shareholders, so of course they have a business case for defining and supporting their efforts in healthcare, including these consumer plays. I don’t have a problem with that at all as long as they are up front about it, which they have been to date. Actually see their entry into the market as raising the overall quality, security and privacy of PHR solutions going forward, which is a very good thing. 2) In speaking with numerous 3rd party PHR vendors as part of compiling the recently released PHR Market Report, these vendors universally reported that EMR vendors refuse to play ball. The EMR vendors drag their feet in opening up their systems, even when their customers ask them to. No EMR vendor has a vested interest (ie business case) to support opening their systems. Unfortunately, standards are not mature enough nor adopted widely enough to make it happen either. These vendors will be kicking and screaming till the end. Google and Microsoft have the clout and resources to change this dynamic, which we are now beginning to see. 3) Epic MyChart and any other EMR consumer portal certainly has advantages, but all patient portals are tethered and always will be to the host EMR. These systems do not provide a longitudinal record of health for the consumer and should the consumer move, change physicians, whatever, its not like the consumer can easily take that tethered PHR and all the data in it with them. Google and Cleveland Clinic as well as BIDMC are providing portability and from what I hear, much to the chagrin of Epic. Epic hates this! 3b) In addition to the tethered issue, patient portals also do not capture the full health record for those who may have multiple physicians. 3c) And let us not forget the disintermediation of healthcare with medical tourism and retail clinics. An EMR-centric patient portal can not and will not address this issue. Many changes are afoot and as I outline in our market report, the entrance of Google and MS into this market has some extremely broad ramifications across the entire healthcare sector that I don’t believe we can even begin to imagine in our wildest dreams. Late this afternoon, Google Health Beta officially opened its doors for anyone to sign-up. While I did predict they would go live in the 2nd quarter, I was thinking end of the quarter, not the mid-point. Hat’s off to Google for moving so quickly. As you know, I am at the TEPR conference trying to gather information and more importantly understand just why this conference is still in existence and more importantly, why it still attracts exhibitors as there is virtually no foot traffic, attendance is low and overall organization, well that is better left unsaid. Let’s just say that there is no WiFi and leave it at that. But enough of TEPR, Google is the real story here (and far more interesting to tell). Following are some quick impressions and analysis. Since I have a GMail account, sign-in to a Google Health Account was a breeze. Simply read the disclaimers (Terms of Service and Sharing Agreements), agree to them and you are on your way. – Loved It! And those disclaimers and privacy statement are similar to Microsoft HealthVault’s, forthright and easy to understand. Out of the box connections with a number of data providers including Beth Israel Deaconess Medical Center, Cleveland Clinic, a lot of medication related services (Walgreens, Medco, Longs Drug, and Rx America). Somewhat surprising that CVS/Caremark link is not about medications, but clinicals from Minute Clinic. Likewise, you don’t get clinicals from Walgreens’ retail clinics, only meds. Odd. They also provide ability to link to Quest Diagnostics so one can get their lab results imported into their Google Health account. Google Health also provides an ability to link to a number of third party services, including PHR providers Medem, MyMedicalRecords and NoMoreClipboard (each of these vendors as well as Google Health is profiled in our PHR Market Report, that will be available for purchase later this week – drop an email to: info @ chilmarkresearch.com if interested), advocacy groups such as the American Heart Assoc. and LIVESTRONG.COM, Cleveland Clinic’s second opinion service MyConsult and several other services. Some charge a fee for services while others are free, all stated clearly on the Google Health site (though no actual pricing for services is provided). The real beauty of both features above is that Google provides clear linkages to partner sites. When you click on those links, from within your Google Health account, you are taken to a secure page (https) on the partner’s site where you are clearly asked to sign-in to begin the authentication process and have your records transfered to your Google Health account, or sign-up for a service. Unlike the less than stellar launch of Microsoft HealthVault, where you clicked on a partner link only to be sent into God knows where, Google has worked closely with this initial set of partners to make it very clear where you have landed and what to do next. Bravo Google. The interface is clean, crisp and intuitive. Nothing to clutter the eyes/mind as you navigate around the site. This is so unlike most major PHR providers today who seem compelled to barrage you with a visually noisy website experience. Working with partner SafeMed, the site provides medication interaction checking for the consumer to assist them with managing multiple medications and minimizing adverse drug events. Google Health is supporting such standards as SNOMED CT & ICD-9 (both used for diagnosis/condition coding), LOINC (lab data), and NDC & RxNorm (both used for medications). Google is also supporting a slightly modified form of the CCR standard (which is quickly becoming the defacto standard for PHRs), that they call CCR/G. While they have partnered with a number of pharmacy companies and a couple of providers, that is far from capturing the broader market and really making life easier for the average consumer (i.e., a PHR that can self-populate and stay updated without a lot of consumer feeding). An obvious choice is data from health insurers (payers). Payers, arguably, have the largest trove of consumer health data, data that often includes lab results, medications and treatments. Granted, claims data is not as rich as clinical data, but there are very few practices today with as sophisticated digital clinical record keeping practices as Cleveland Clinic and Beth Israel. Google will have to get payers on board to make this work. Retail clinics, who most often are already using CCR are an obvious link/partner for Google. CVS’s Minute Clinic is a good start, but where is Walgreens’ own clinics and will Google extend out to those corporate campus clinics that Walgreens just purchased? I really can’t criticize Google for this last point as Walgreens did just acquire these clinics, but would have like to have seen Google at least, in some fashion address the employer market for these solutions. Missing any place to put advanced directives. No capabilities yet to assist a consumer in managing their health savings account. Be a nice opportunity for Google and Intuit to partner. Site would hang-up on me occasionally, but that may be more of a function of this terrible hotel Internet connection, than Google. Was not all that impressed with the search engine for finding a doctor. When I entered my doctor’s last name and city, got back a number of hits but they were all peripheral – not a single one giving me contact details or for that matter even identifying my doctor. Wasted effort for me. Lastly, an odd thing happened in testing the link to Quest Diagnostics. When I landed on the Quest site, it requested a PIN to sign-in to begin transfer process. Well, I don’t think I even have a PIN with Quest so I backed out of the site. Yet, later, noticed on the landing page of my Google Health, the Quest banner for finding a Quest location or scheduling an appointment. Really looked more like an advertisement to me as I certainly didn’t request the banner and now have to figure out how to remove it. While I am sure I’ll find other small quibbles regarding Google Health, all in all, it is difficult to find anything really major to dislike about this offering. My biggest gripe would be that it is too thin, both from a tools /functionality provided perspective and partners from which to import data. These are very important issues but they are also issues that Google should be readily able to address in the future if the have the mind to do so. And is that really, at the end of the day what matters most? Will Google and Microsoft stick it out and stay in the healthcare market long enough to see the tide change and the apathetic consumer turn into a proactive and engaged healthcare consumer. This sector is fraught with challenges which I have written about before and it is going to take time to address them. Let’s hope for everyone’s sake that these two companies have the patience to stick with it as I really do not see any other companies in the market that have the breadth of resources to make this happen. The more I look at this market, the more I am convinced that needed change in the healthcare sector will come from the outside via greater direct engagement of the consumer in managing their health. And that will require giving the consumer the tools to do just that. Something which both Google and Microsoft are on track to provide. Beth Israel’s CIO’s Impressions (Note: As he was part of Google’s Advisory team, you won’t find a critical, unbiased view). The latest edition of The McKinsey’s Quarterly report has an interesting interview with Cleveland Clinic’s CEO, Toby Cosgrove. Nothing earth-shattering is revealed, but interview does give some insight into Cleveland Clinic and its operating philosophy. This provides further color, albeit implied, to the recent partnership between Google Health and Cleveland Clinic. Note: You’ll have to go through a pretty quick and painless registration process on th McKinsey site to see the full text of the interview.